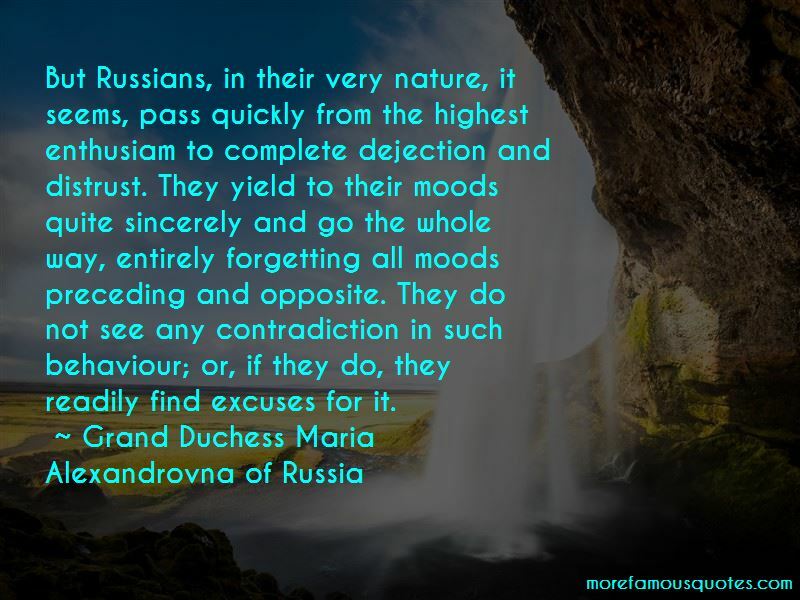 Enjoy the top 3 famous quotes, sayings and quotations by Grand Duchess Maria Alexandrovna Of Russia. Revolutions existed in history, books were written about them, and lectures given: they were complicated phenomena, scientific, remote. While here, the riot of a week ago had turned out to be a real revolution and the shadow of death actually threatened all of us who were of the ruling cast. 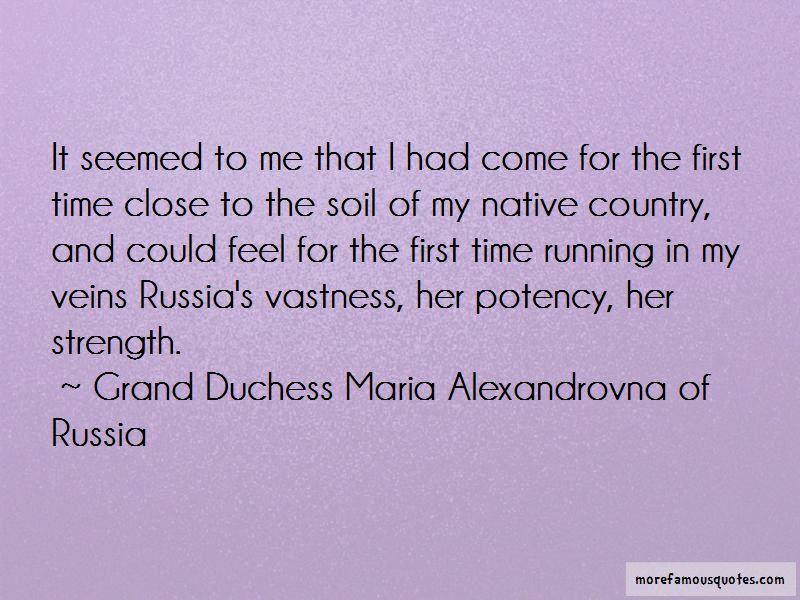 Want to see more pictures of Grand Duchess Maria Alexandrovna Of Russia quotes? 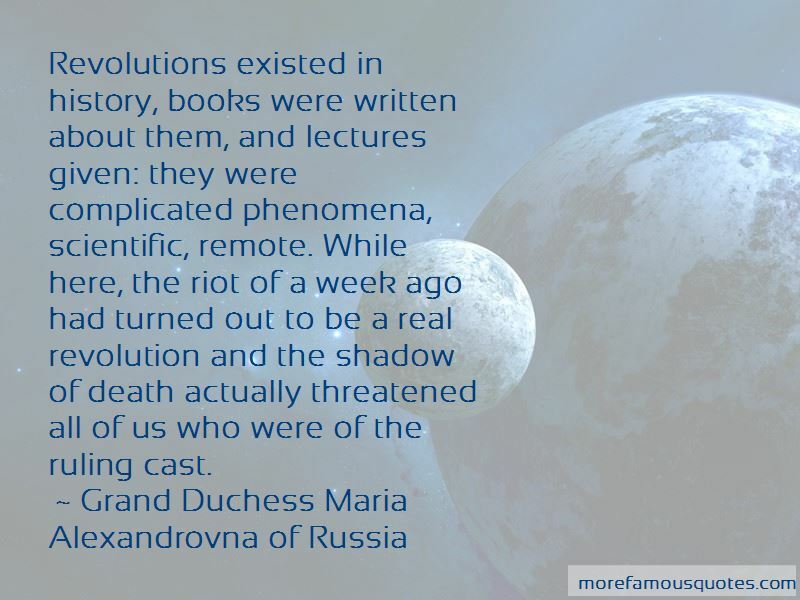 Click on image of Grand Duchess Maria Alexandrovna Of Russia quotes to view full size. “As much as possible, connect your offer to the direct benefits customers will receive. Like the Alaska coupon books, a compelling offer pays” — Anonymous. “I have always been a lone wolf and in the real sense of the word (people say it all the time but its” — C. JoyBell C.